Give your cabinet doors a professional look by using our V-Groove face frame joining bit. Join frames from 1-1/4" and up. Secure with glue, brads or pocket hole screws. Want a more decorative look? Add a beading profile to the edges before glue up for a decorative mitered corner look. Two-flute, carbide-tipped. 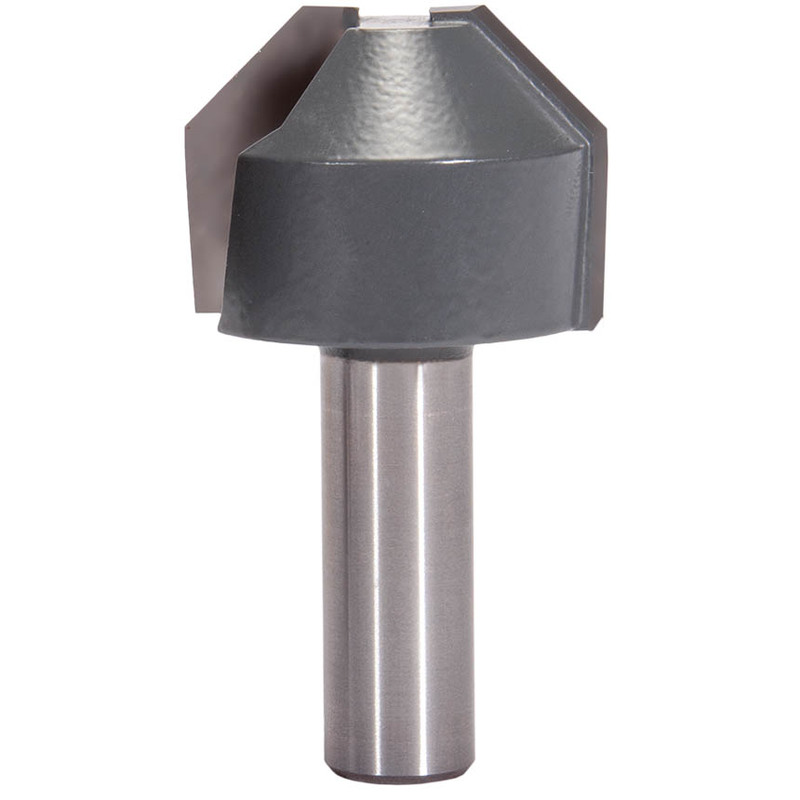 Use with 1/2" shank Square Edge 3/16" Beading Bit #P14-3317.